Amy's Creative Pursuits: Just Fluttering By....CAS Style! Hello! I have a really simple, yet oh so pretty and dramatic card to share with you. 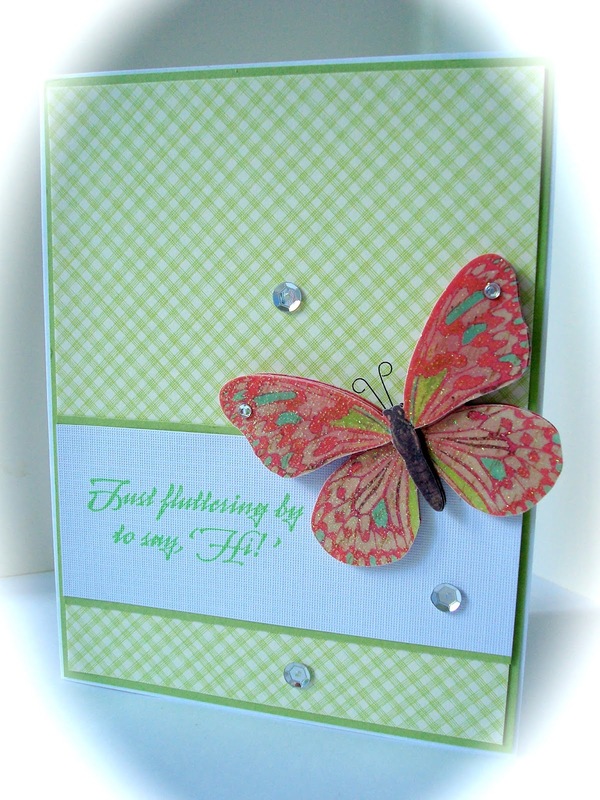 The card only uses one sheet of designer paper, slap on a sentiment panel, and add a dimensional butterfly sticker from K & Co and some sequins and your done! This card is lovely, very elegant ! Have a nice day Amy ! Magnificent butterfly and wonderful CAS background. Beautiful card Amy!